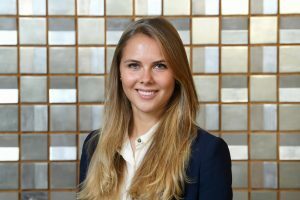 We interviewed Marie Masson, MBA alumna 2018, on her experience of the ESMT MBA program. 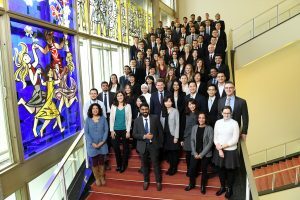 With your UN/NGO background, what motivated you to do an MBA? First, the business and management skills the MBA teaches are useful whether you are working for a hedge fund or an NGO. Every organization has a mission, a strategy, a budget and employees to be managed, and today, I think only a business degree formally teaches this. An MBA gives you the opportunity to reflect on your leadership style, learn from other student’s experiences, and develop business skills to have a helicopter view of organizations. Second, by pursing business classes during my Bachelor degree in Political Science, I noticed there was often a line drawn between business and politics, which I found difficult to understand because both are so intertwined. By doing an MBA, I aspired to develop a hybrid profile to better understand the relationship between the public and the private sector. I believe that in an increasingly interconnected world, companies will need more hybrid profiles to play on the international stage and create effective partnerships. I therefore would encourage more people to pursue studies in a wide range of complementary fields. One year later, what would you say surprised you most about the program? I always pictured an MBA class working in a competitive environment. Instead, study groups helped each other out, finance students helped soft skill students and vice versa (my friend Faraz saved me in all technical classes), students shared job postings and their networks, and during many group presentations I heard: “We conducted our analysis this way but actually the previous group did it really nicely as well!”. This supportive environment was an incredible surprise, and might be very ESMT specific due to the diversity of profiles. If you had to name one highlight of the year, what would it be? There were many fun moments, but my highlight a moment of reflection. At the end of Module 1, our classmate Carlos took a picture of all of us in our Module 1 seating plan. It was a strange moment when all of us realized how fast the first few weeks had passed and how the rest of the year would fly. After this picture, all of us already spoke about missing each other 10 months down the road when the MBA would end. What are your professional plans? 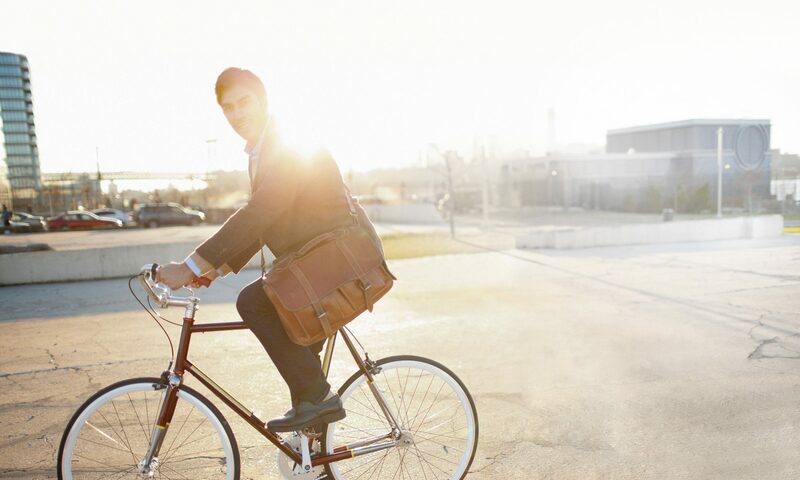 How will the MBA degree help you to reach your goals? I am starting a position in Public Affairs at Lilium, a flying taxi startup in Munich. If someone had told me I would be working for such an incredibly exciting project after my MBA, I would never have believed them! The MBA taught me how to work with very diverse profiles and in a fast-paced environment -two things which will be vital in my new position. In addition, I hope that the business knowledge I have gained will enlarge my political vision to better understand the core business and work closer with my technical colleagues. What advice would you give members of the Class of 2019, who started the program in January? First, say YES! Say yes to as many events or activities organized by the school and your classmates. In a few years, you will have forgotten how sleep deprived you were, and you will only remember how much fun you had with the most diverse group you will ever be in. Second, network, network and network from Day 1. Third, be humble and learn from others. I am grateful for the faculty and staff at ESMT who make everything possible with their hard work, positive attitude and eagerness to make any student initiative possible. All of us owe a large part of our success to the outstanding efforts of the ESMT Berlin school. 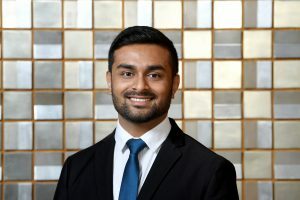 We caught up with Kalpesh Ahire, MBA 2018 alumnus, who shared his ESMT MBA story. Prior to the MBA, I had been working as a Business Analyst/Technology Consultant with Accenture. My undergraduate degree is in Engineering, specializing in Information Technology. This made my work quite challenging. While my technical skills were quite strong, on the business side, I had to learn on the job or from my peers. However, as time passed I realized that a structured way of learning would be the most efficient way to prepare for any upcoming business challenge. My approach has always been to refer to the basics – taking what I have learned academically and then building on this to take on practical issues. Naturally, an MBA was the obvious choice. I was always fascinated with the German industry and business landscape and since I had also worked in Germany before, I decided to move to Germany. I chose ESMT Berlin due to a number of factors and not limited to the internationality, age of the school, and the focus on innovation and technology, along with personal development. The program itself and the cohort. Often times, one does not experience exactly what one has signed up for. I still remember my initial discussion with the admissions team where I was made aware of what to expect at ESMT, such as the international cohort, very practical approach to studies, innovation-based topics, and the focus on people and leadership development etc. Everything turned out to be exactly the way it was portrayed, which is quite unique. Secondly, the cohort. My class was amazing. We were close-knit and had each other’s backs, with no competition, and everyone bringing out the best in each other. 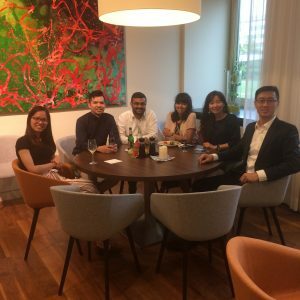 At many points during the MBA, I attended MBA events where I met candidates from other business schools and it was quite evident that the ESMT candidates stood out as a team. This is probably the most difficult question. 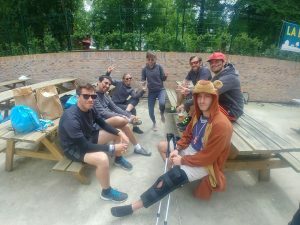 This year has been full of highlights and extraordinary experiences, be it our very first week going outdoors for team building exercises or the class coming together to help our MBAT team, or the various cultural events organized by our very diverse class, or the obvious – different classes and professors. However, if I must choose one, I would choose something personal. I am an aviation geek and have been around jets courtesy of my father’s job. Also, I have always been fascinated by technology and machine learning. An important and in fact differentiating aspect of the ESMT MBA is the consulting project, where we directly apply our knowledge to real time situations in a company. I had the opportunity to work with Lufthansa for my consulting project. The project dealt with how Lufthansa can implement conversational commerce and improve services, a perfect amalgamation of two of my interests, aviation and technology with strategy. I do not think I could have had the opportunity to have this experience elsewhere. On a side note, for one of our meetings in Zurich I was able to fly in a Fokker-100 aircraft, one of the last few left in service. I could finally check it off my long list of aircraft models I always wanted to fly! I have heard that you have be vigilant in learning German. Why was this so important to you? I come from India, the land of many languages. I grew up in a town with almost every culture and language from my country. It was therefore natural to know a few words from different languages. It not only helped understand the people around but also helped to bond with them. This important learning came in handy when I moved to Germany. As mentioned earlier, I have worked in Germany before, which is when I actually started learning the language. Though my working language was English, learning German helped me a lot as my job involved talking to various stakeholders. Understanding and learning a language does not have the sole purpose of understanding a conversation. It serves a bigger purpose of knowing the people and the culture. I had already decided to work in Germany after my MBA and being part of the culture would help me in my stay. As a result, when I decided to take up the MBA, I moved to Berlin 3 months early to continue learning the language. What are your professional plans? 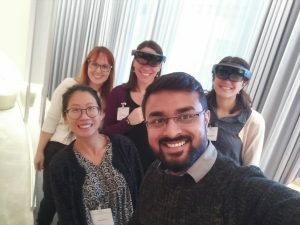 I come from the IT industry specifically in the Business Analysis space and would like to leverage my knowledge of the industry and technology. Solutioning comes naturally to me; therefore, I am keen on developing my career into strategy consulting with an IT background. However, I am open for any challenge, as I believe the MBA has taught me well about how to transfer my skills and utilize them wherever I go. Also, as mentioned before, the German business landscape is quite fascinating to me, I would like to stay here in Germany. What advice would you give members of the Class of 2019? Live and enjoy every moment of this incredible journey, it ends very soon. Be there for each other as it is not as enjoyable if pursued alone. While learning in the classroom is important, it is equally important to meet people, make friends, and build a network. ESMT organizes many events, be an active part of them. Berlin has a lot to offer in this regard, go to many of those events. Being a one-year program, it gets quite hectic, especially in the beginning of the year, but make an effort to go out and network, be part of extracurricular activities, it is WORTH it! ESMT listens to students and supports student initiatives, so be vocal and organize events/activities that would add value to you and your class. They supported many initiatives from our class. 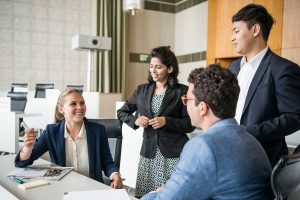 Above all, the ESMT MBA offers a unique opportunity of getting to know many cultures and people at a single place – take full advantage of it. Cultural exchange will make you prepared for everything that is coming after the program. I still cannot comprehend that this year has ended. However, there are few things which I will always remember and would want everyone to know. We were a class of 66 students and one exchange student in the first half of the program representing 34 nationalities. Many “firsts” happened during our year at ESMT, be it new clubs such as the Technology Club. The first ever ESMT Hackathon took place, where people from business and technology fields came together. Many cultural exchanges took place, such as a Brazilian barbeque and Italian dinner. We organized an auction to support our athletic MBAT team, who went on to win many international tournaments. Some of my classmates went to Australia to participate in the Global Business Challenge and secured second place and funding to start a company. Last but not the least, we had some of the most qualified, multi-talented, and coolest professors, some who could tango for example, or can be found on Spotify, to name a few. Distribution and logistics networks are fragmented, thus organizations need to locate their distribution points centrally and ensure that customer demand is aggregated. The distribution locations should be conspicuous enough for customers to easily notice and visit to make their purchases. It’s also important that the locations should be easily accessible by public transport (buses and motorcycles) in-order-to reduce inventory transport costs. For DAPU, an effort is already being put into identifying suitable locations in Bugadde that meet the above criteria. Income streams of rural and suburban customers are sporadic and unpredictable. This means that for organizations to sell their products to the customers in these areas, they need to carefully map earning patterns for each consumer segment. Although this is a challenge, it is possible to understand when each consumer receives income. For example, a sugar farmer in Bugadde will sell sugarcane around December and will be liquid during this period. On the other hand, a milk vendor in Jinja will have enough income to purchase products at the weekends throughout the year. In addition to sporadic incomes, average daily income is low (between USD 0.81 and USD 2.70) for the people I interviewed. This presents a challenge for organizations serving these low-income segments because their ability to pay is low; even with financing, the chances of default are still high. Organizations serving such customers should identify specific customer product fit through a credit assessment by in-person interviews, referees, and by designing a manageable payment plan for the customer. There is no guarantee of repayment because a small “shock” such as a health emergency could hinder future repayments by customers. However, creating customer trust and reminders would be a good way to reduce repayment defaults. Accurate and realistic pricing mechanisms should also be put in place to encourage repayments. At DAPU, we will implement these techniques in this first quarter of 2019 and will continue to refine the methods over time. Most rural customers still use dirty and expensive energy sources such as kerosene lamps for lighting and inefficient cooking stoves for cooking. During our interviews, most respondents claimed they were not aware of cheaper, cleaner energy alternatives. From this, it would be safe to recommend that organizations that provide clean energy services to rural consumers should adopt marketing strategies that provide high product visibility and clearly defines value to end consumers. For most rural consumers, the value is created through economic benefits (savings) and physiological benefits (healthier alternatives). DAPU hopes to provide value to its customers and attract them to use DAPU products and services. On top of the four major findings highlighted above, I should note that the consumer population is dispersed over a wide geographical area. Reaching every consumer is a tremendous challenge. I highly recommend that organizations should work with last-mile entrepreneurs to boost their visibility and sales volumes in order to scale. The business that I believe can succeed in this type of rural market would be one with high volumes and low margins. This article is a first of a series of articles I will share about my 5-months experience in Bugadde, supporting DAPU and another CBO to refine their business model and scale up their operations. I hope you enjoyed the read. If you have other resources about Uganda rural consumers, feel free to share with me.